Hope you have been following along, this is part 3 of my series, where I have been designing spaces for a beach bungalow. This room is geared towards my boys. 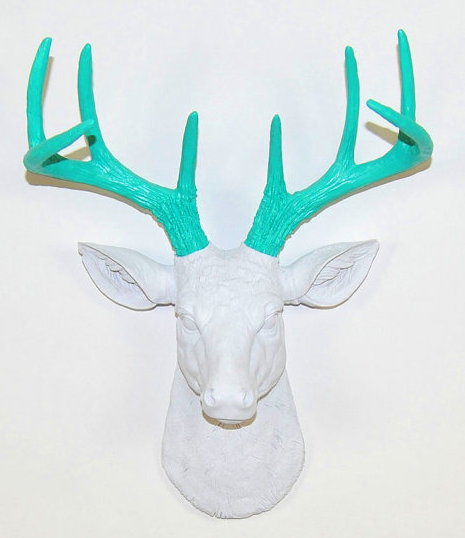 I wanted it to have a more masculine feel, but also be fun and whimsical. I feel like I accomplished this via my mood board. 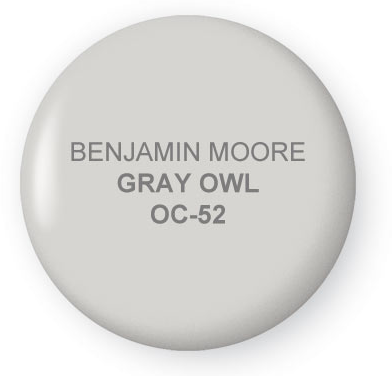 I'll start with the wall color, which I would paint a pale gray. Here is a top pick I'd use.. So let's start with the bed. 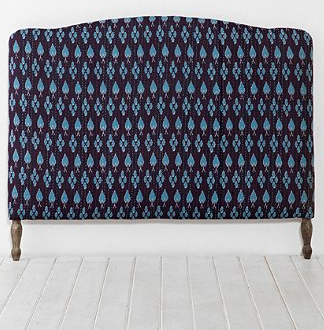 The headboard can be found at Urban Outfitters. I love that it has a modern ikat print on it. 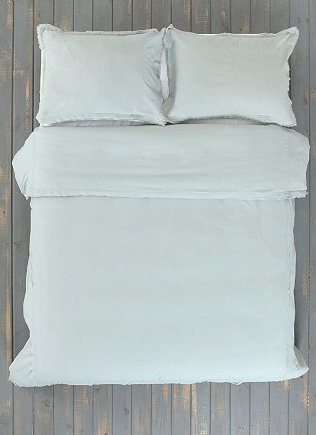 The bedding is also from Urban Outfitters. It's the perfect neutral back drop for all the fun pillows. 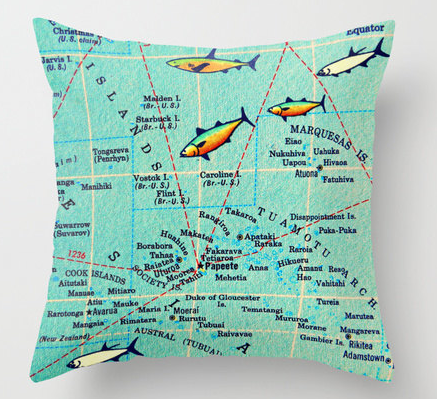 Here are the anchor pillows I would plan on making. I found the fabric at fabric.com They have a huge selection of fabric, and I order from them often. 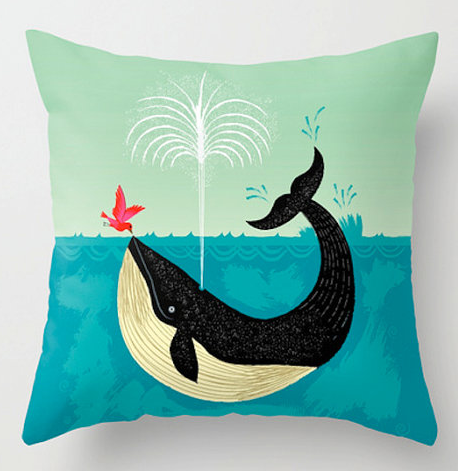 This whimsical whale pillow came from Etsy. I think it is a fun touch. 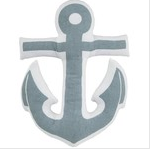 The anchor pillow was from Land of Nod, but the pillow sold out. However, I think you could get creative, and make one similar. 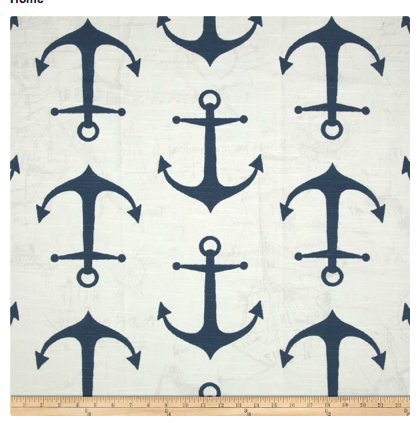 You could cut out an anchor pattern, then paint on the anchor. Maybe I'll have to give that project a whirl this summer. 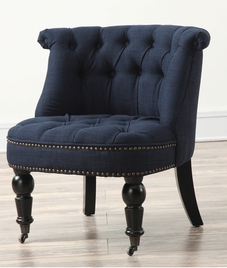 This navy chair is from Overstock.com. It's not real big in scale, and I think would be perfect for a little nook in this room. I love the tufting and the nailhead detail on it. 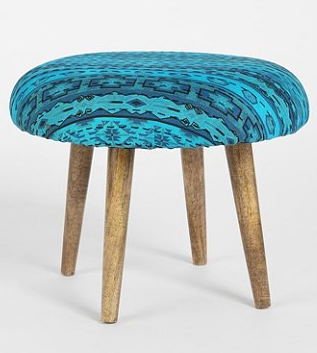 Every chair needs a little foot stool, and I like the pop of color from this turquoise one. And it works out well for an additional little seat, if needed. It can be found at Urban Outfitters. 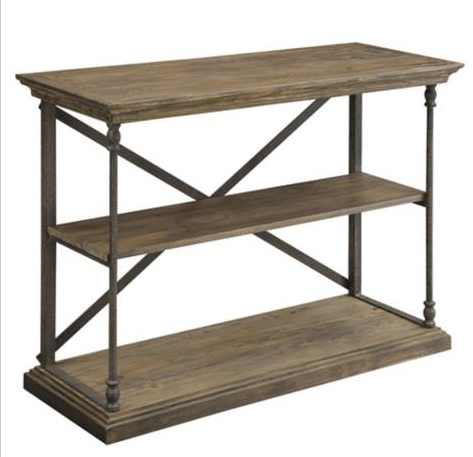 The console table works well as an alternative to a dresser. You can put baskets on it, or fill it with books and games, that would be easy for the kids to access. 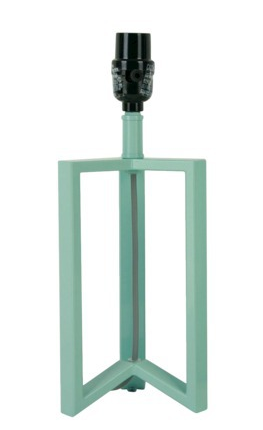 You can find this piece at Lamps Plus, yes, they actually sell other items, not just lighting. 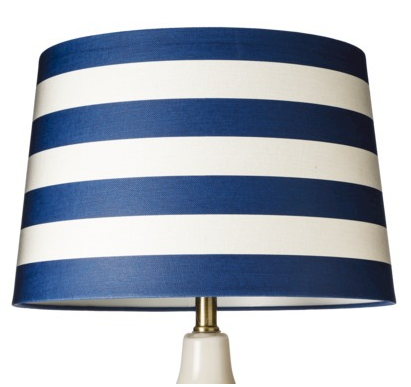 Both the table lamp and the lamp shade can be found at Target. I like being able to buy pieces separate and create my own design. 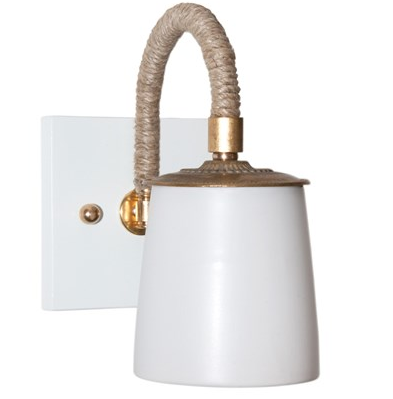 I also would love to add these sconces to the bed wall. I love that they have the rope detail on them. 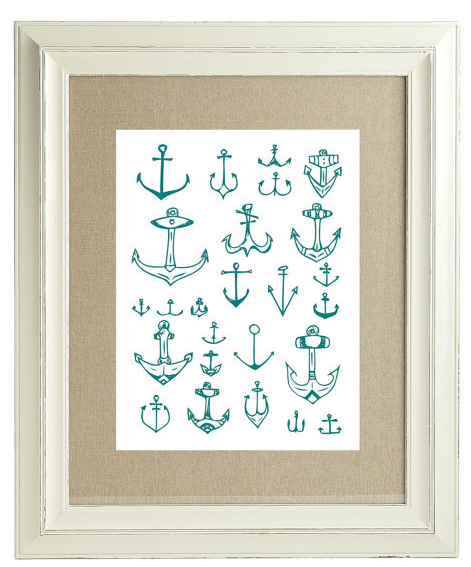 It gives them a nautical feel. They will provide additional lighting in the space, and make for a nice night light. I'd love to put them on a dimmer switch. They are from Layla Grace. 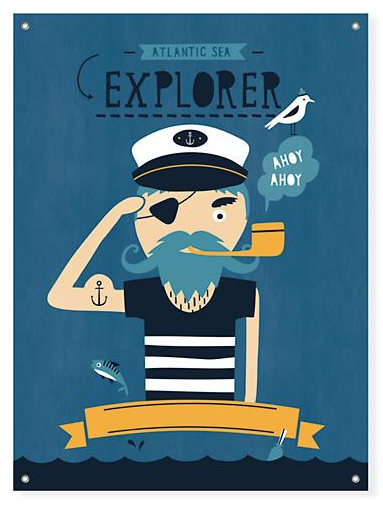 I kind of love this piece of artwork from The Land of Nod, it think the captain character is so fun. You can also get this piece personalized with a name on it. It would be perfect for a boys' space. This last little piece of art is from Etsy. 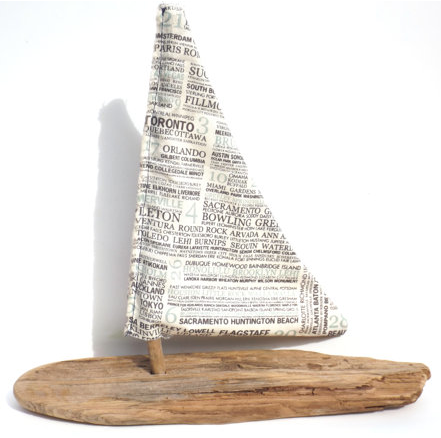 Did you know there are a ton of shops on Etsy that provide digital downloads? They will send you the file, and then you just print it yourself for a small fee. You can then print as many copies as you need. 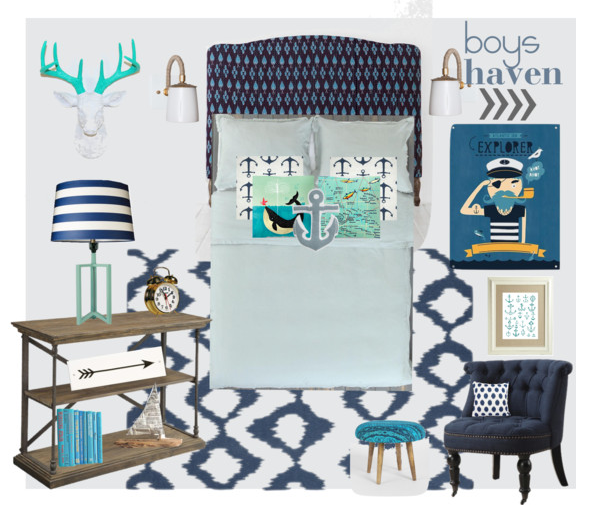 So there you have it, a fun, whimsical, masculine, guest room. I think my boys would really enjoy spending time in this space. Looking forward to designing more rooms for our "pretend" beach house. This has been a fun series. I think I'll work on the master bedroom next, so be sure to stop back by and see how it turns out. :) Until next time..